NEW YORK, New York — The Hayastan All-Armenian Fund invites Armenian singers from across the globe to submit music videos of their new songs for possible inclusion in the forthcoming Telethon 2011 program. Seeking to promote the creation of original music in Armenia, Artsakh, and the diaspora, the Fund will premiere music videos of newly composed songs during the 12-hour Thanksgiving Day Telethon in November, in addition to regular Fund-related programming. The final selection of submitted music videos will be made by the Telethon’s music-production team. Original, previously unpublished song videos may be submitted by singers residing in Armenia, Artsakh, or the diaspora. Although there are no limitations as to choice of language or theme, preference will be given to patriotic compositions. Song duration should not exceed four minutes. Music videos should be produced in the HD format. Only one submission per artist will be accepted. Videos should be emailed to stepan@armeniafund.org. “Telethon Video” should be written in the subject heading and the artist’s name, address, and phone number should be stated in the message. 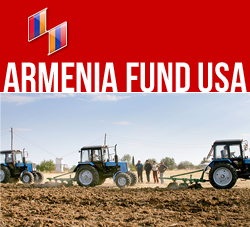 The Hayastan All-Armenian Fund will have no financial role in the making of submitted videos.